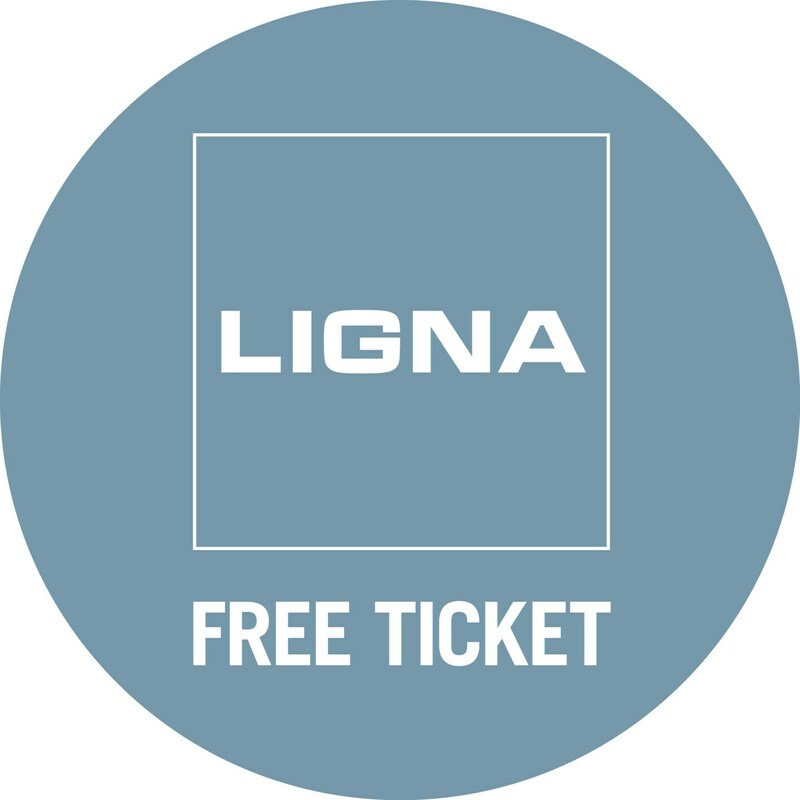 SCM, the world leader in the field of secondary woodworking technologies, is gearing up for the next edition of Ligna (Hannover, 27-31 May 2019), having achieved a double-digit growth rate in the last two years which propelled the group over the 700 million turnover target at the end of 2018, with a technological range of products increasingly in line with Industry 4.0 requirements. 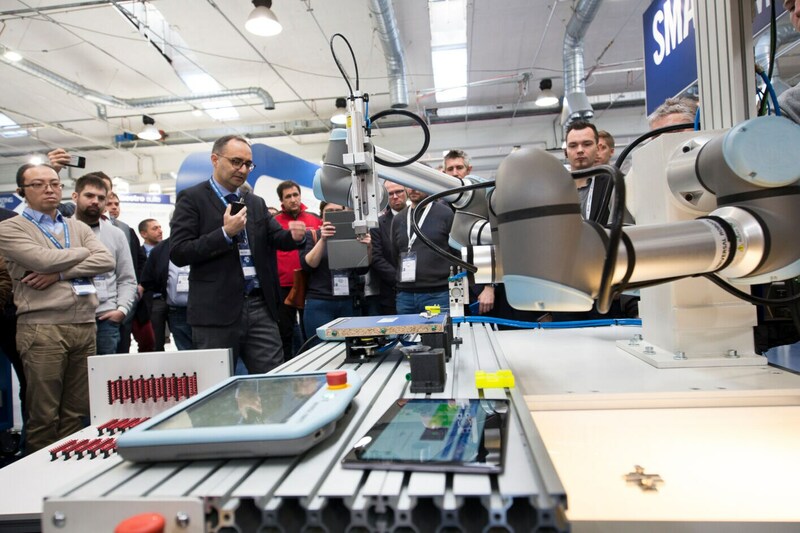 After launching its "Lean Cell 4.0" for highly automated industrial production two years ago, from this same Hannover event, SCM now goes further with its breakthrough concept of Smart Manufacturing. 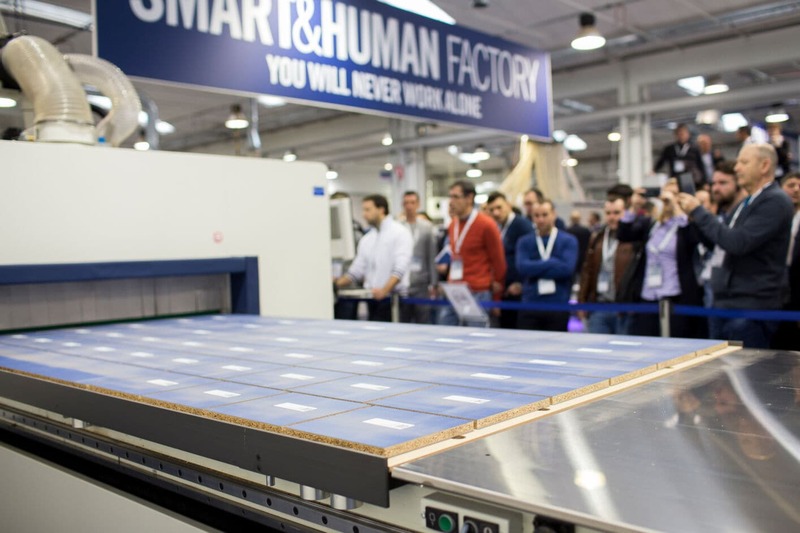 From its over 4,000 square metres' booth in Hall 13, the Italian woodworking giant will present its "Smart&Human Factory": a cutting-edge production model based on digital and automation systems and allowing for advanced man-machine interaction and 360-degree control over the entire production flow. A model based on highly innovative, flexible, modular and easily reconfigurable systems, designed to respond in an increasingly effective and fast way to the challenges of mass customisation. 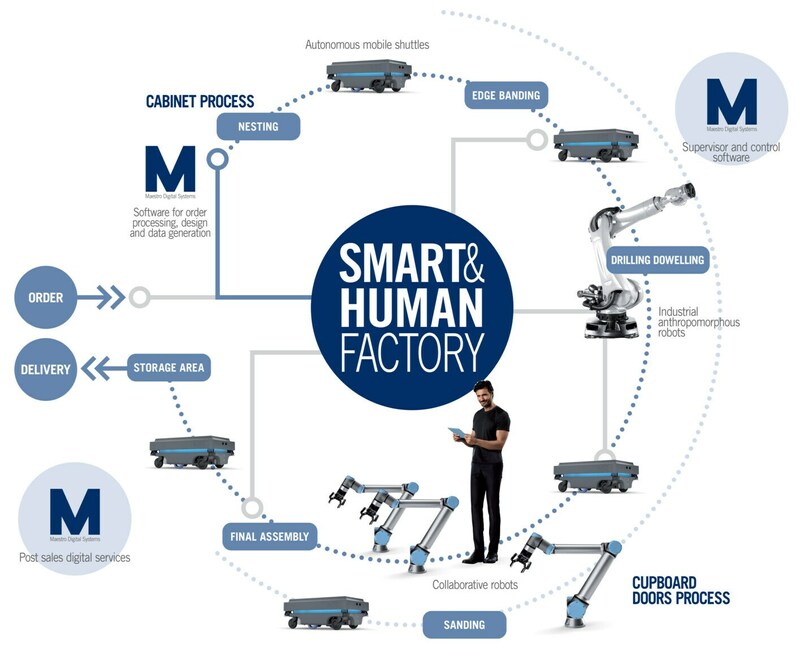 A new "smart and human" factory - also making progress in terms of work flow: thanks to the integration of robotics, low-added value and repetitive human tasks are now minimised. "Ligna 2019 will be one of the key international events for SCM - traditionally a historic and reliable partner for the entire woodworking industry", explains the SCM Division Director, Luigi De Vito. We will showcase top-level technological innovation, designed to support more and more companies in their business and help them meet new Industry 4.0 requirements. The current, new production trends, which will be the focus of the next edition of Ligna, are expected to widen the gap between more and less intensively automated companies. By offering a new model of interaction between machines and industrial and collaborative robotics, ground-level logistic handling and software, SCM will have as its mission to help partner companies work toward achievable, successful and smart goals." The claim "You will never work alone" effectively summarises the goal of the new SCM product range: to supply a "user-friendly" wood panel processing automation system, with the option to reconfigure the production process whenever this is necessary, to quickly process increasingly smaller "order to production" batches. 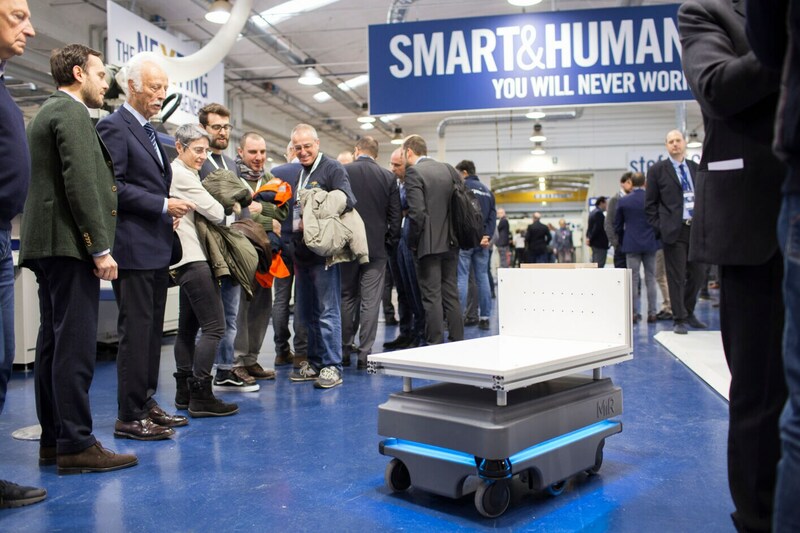 After previewing a working application of its "Smart&Human Factory" at the Open House 2019 event on 31 January 31 through to 2 February, which drew crowds to the company's Technology Center of Rimini (Italy), SCM will showcase an even richer version at the next Ligna. An automated system for all the phases of furniture production will be presented: from furniture designing to the generation of machine programs and from panel processing to cabinet assembling. The process aims at optimising as much as possible panel cutting, edgebanding and drilling operations, so as to reduce waste, rejects and retooling requirements during product changeovers, to then reassemble orders back together at the end of the process and delaying customisation until this stage. With this system, low-added value and repetitive human tasks are minimised, thanks to the use of KUKA industrial anthropomorphic robots, assisted by collaborative Universal Robots in the final process stages (assembly, hardware insertion, glue dispensing and surface finishing) and ensuring totally safe conditions without the use of enclosures. Finally, process logistics are made flexible thanks to the use of MiR intelligent autonomous self-driving shuttles. The entire process will be managed and supervised by the Maestro Watch supervision software - monitoring the state of each of the products being machined throughout the process, and by the IoT Maestro Connect system - which collects and analyses SCM technology data, ensuring on the one hand full control over the production flow and, on the other, the implementation of smart predictive maintenance models. At Ligna 2019, SCM will add to its digital range, by combining digital technologies with high added value, specifically targeted services. The Digital Hub, the innovation control centre at the core of the exhibition booth, will display all the latest products. 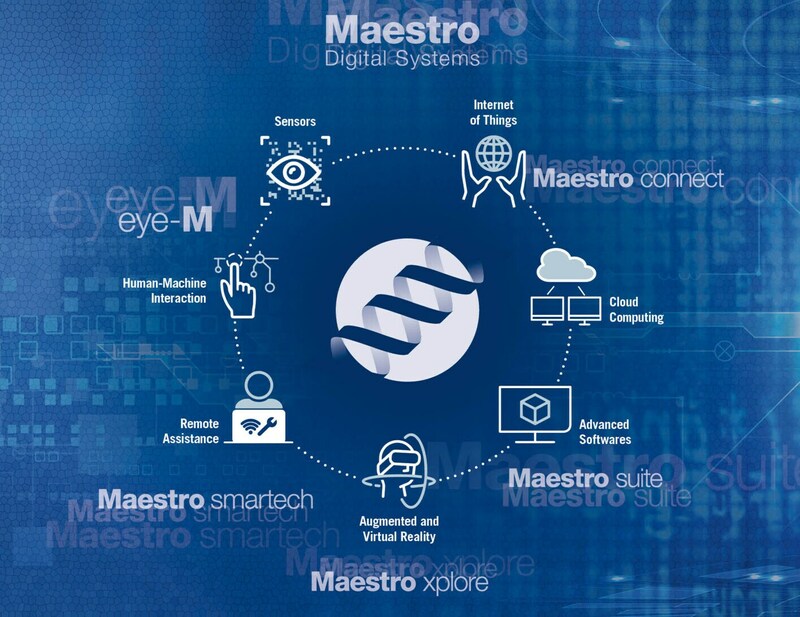 To meet the needs of 4.0 industrial production, the "Maestro Connect " IoT platform will be extended to new technologies applied to the wide range of SCM machining options (cutting, edgebanding, drilling and routing, nesting and edge machining) for both panels and solid wood. The data gathered and the information available increase thanks to the introduction of the new sensor kit specific for technology able to detect the changes in vital machine components, spotting any critical conditions of use or ones that are not ideal. This evolved data collection and analysis system originating from SCM, offers the client maximum control of the machine or plant’s product flow, achieve rapid, intelligent and foreseeable maintenance and an increasingly effective planning of a spare parts strategy. The launch of the new Maestro Active man-machine interface software is also showcased. Maestro Active (special mention at the last German Design Award) is the new operator interface which, combined with the touch eye-M control panel, revolutionises the way to interact with SCM technology. The project will be launched at Ligna on all the SCM machinery, offering all these technologies a single environment for use and a common graphic guise, making the operator’s work notably easier, reducing the risk of error and increasing productivity. For office software, as well as the supervision software for our Maestro Watch integrated cell systems, the Maestro CNC 2019 version will be released with major updates for CNC machining centres and drilling machines. User-friendly, intuitive software, which, most importantly, can be integrated and interfaced with other systems used by customers. SCM has always placed importance on surface treatment and was the first to believe in the value of having Superfici technologies in its range for finishing, placing them alongside other solutions for finishing, sanding and coating, and enhancing this process stage. SCM offers its clientele specific laboratories for this sector like the Superfici Technology Center in Villasanta (Monza), the Superfici Tech Lab in Villa Verucchio (Rimini) as well as other finishing laboratories in foreign branches. On the strength of its vast and consolidated know-how, the Italian company will present its wide range of technologies for sanding, pressing and finishing at Ligna, distinguishing itself as a unique partner in the entire surface treatment process: a complete range of products and services as well as exclusive, sought-after finishing solutions, to meet all the process and end product type requirements. The innovative dmc system operating units which have transformed the concept of the sanding machine into a flexible abrasive modular machine, the Superfici spray painting systems and robot equipped glue application and the sergiani 3d form membrane presses, that allow for uneven surfaces to be smoothed, are the technologies due to be presented to the furniture industry at the SCM booth (Hall 13). These solutions allow for surfaces to be prepared and treated to produce finished products with a 3D finishing effect like wave designs, hand smoothed, structured, saw cut and worm hole, capable of adding unique touch and visual sensations. At the Superfici booth (Hall 16) the most exclusive finishing solutions will also be showcased. These include, anthropomorphous and Cartesian robots for painting panels, fixtures, a vast range of sprayers aimed at the different application requirements and production capacity, the latest generation of roller painters and UV and UV LED driers. Machines all in “4.0” version. The vast SCM range, unique at international level in meeting the needs of the entire sector - from craftsmen to large industries - will present important new entries for models, devices, optionals and software, for every form of technology dedicated to secondary wood processing. Whether they are integrated into the “Smart&Human Factory” automated process or in stand alone mode, the aim is always to meet the most varied demands of a custom and integrated production of a specific company without forgoing the advantages of industrial production. Solid wood sees the arrival of hypsos, the anticipated 5 axes machining centre with integrated cabin, designed for interior decorators and the three-dimensional processing of elements with a complex shape or large dimensions. The accord 42 fx machining centre with dual operator unit combined with 3 and 5 axes, ideal for the production of windows, doors and stairs, is also being demonstrated. Of particular interest to solid wood chair, table, furnishing and object manufacturers is the balestrini power machining centre which will be showcased with a complete makeover that makes set-up and use easier, with more powerful electrospindles and a further reinforced structure to guarantee high performance, reliability and safety. Timber construction will see the world preview of oikos x, the new machining centre, specifically designed to machine structural elements, X-lam/CLT wall panels, fitted with the new 6-axis machining head unit that allows any machining work to be carried out on every side of the element from a single position and in reduced spaces. New entries also for double ended squaring and shaping machines: at the trade fair you will get a chance to see the celaschi p40 in operation, fitted with “electronic spindle, an innovative solution which will soon be standard fitted on the whole range. Its aim is to continuously improve operating reliability and efficiency especially in more challenging tasks like the processing of particularly abrasive materials and the production of large sized pieces. Other important “new entries” in panel technologies, starting with the new range of CNC morbidelli x200 and x400 machining centres, that applies the best 5 axes “All-in-one” technology performance to nesting processing, in line with market demands increasingly focused on “batch-1” production and which, therefore, need to combine high speed and maximum flexibility in panel cutting outlines. On show for the first time at Ligna 2019 is also the new morbidelli cx220 drilling centre a focal point in the compact categories. Providing even better performance in terms of finishing quality, precision and productivity, and morbidelli ux200d, fitted with the exclusive dual variable-axis broaches and the new Clamex operating units for joints. The best of gabbiani technology will take centre stage for sizing, with new devices aimed at processing delicate panels, in line with SCM’s keen focus on surface treatment. The gabbiani sizing machines on display at the trade fair will include the exclusive Flexstore HP warehouse management system, characterised by the Saw-Set device to make tool settings even faster and more exact. As far as edgebanding is concerned, there is great anticipation surrounding stefanicell, the new generation of cells for “batch-1” processing, with high-tech solutions, even with minimal investment, and the new pickback bridge system for the automatic return of panels, that guarantees simple, “just in time” production management. The Stefani range will present a new generation rounding unit with servo-assisted technology, designed to work even the most delicate panels with surprising continuity and quality. For the olimpic range, the new glue pot is worth pointing out, with technological solutions for a perfect line of glue and a new glue scraper to process panels coming from the nesting cycle. The solution put forward for assembly is the semi-automatic action e clamp, aimed at assembled furniture manufacturers and a valid aid in assembling each part of the furniture with precision and quality. For the first time ever, the clamp will be presented with semi-automatic loading and unloading ergonomic systems, served by an input translation shuttle and 90° output flipper to make the subsequent stages of the work easier. that can house blades up to 350 mm (up to 300 mm using the engraver function). This ensures maximum safety while working, with reduced bulk and guarantees a perfect hold on the panel thanks to the exclusive presser. The “Ready” control positioned on the wall unit, guarantees motorised and programmed movement of the blade tilt and powered and programmable rear stop, guaranteeing a rapid, exact positioning and reducing operator movement.